I love the color gray, and I own a lot of clothes in that color palette. 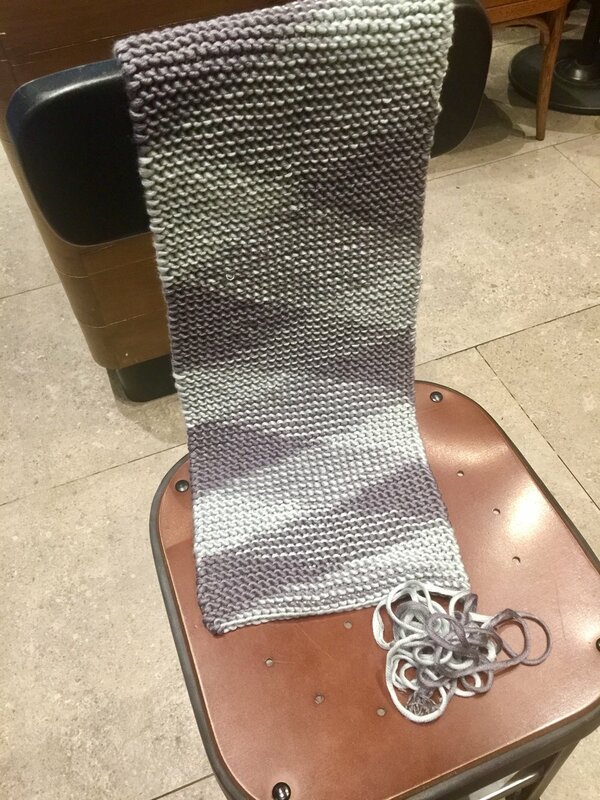 I finished knitting a gray scarf, and it was a process that took me from coffee to dessert. I finished this scarf in less than a week as I used chunky yarn purchased from my favorite yarn store, The Attic Yarn and Craftery. The result was this beautiful graphic scarf that wraps warmly around the neck. Before going home, I managed to snag a pair of white sneakers from local brand So Fab! at 50% off during the 12.12 sale. I am thankful for the cash gift from a relative which I have used to buy these shoes. 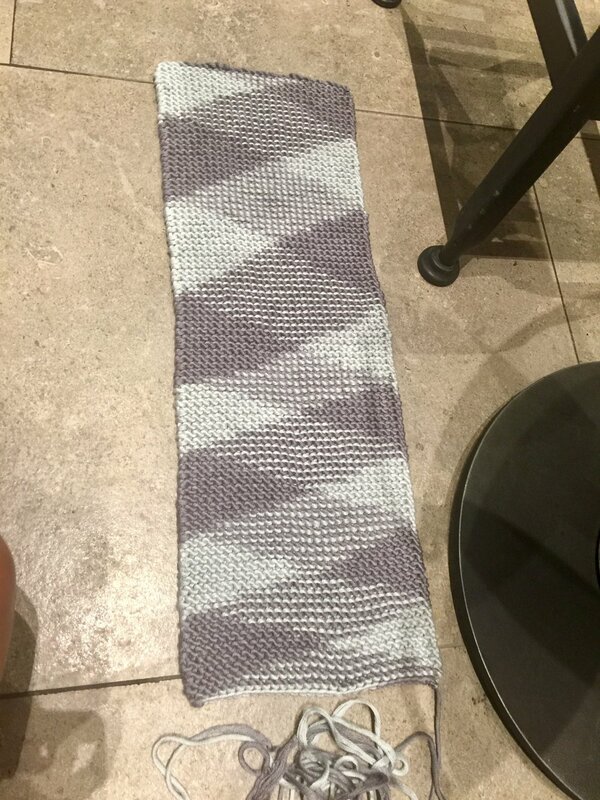 I stictched the scarf together by the time I got home. And I made it into an infinity scarf for easier wearing! Before going to bed, I started a new scarf using yarn from the same store. Gray may be a drab color to some, but for me, its simple elegance makes it a versatile hue to work with. I am inspired to keep on knitting, as I enjoy life with coffee and things that matter.